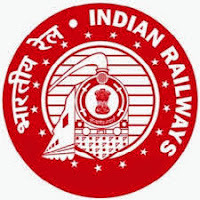 Eastern Railway Recruitment 2017 – 863 Apprentices Posts :- Eastern Railway has published latest notification for filling up 863 posts of Apprentices. Desirous & eligible candidates can apply in prescribed application format on or before 07/12/2017. Age Limit: Candidate should have completed 15 years of age and should not have completed 24 years of age as on 01/07/2017. Educational Qualification: Matriculation (Matriculation/ 10th class in 10+2 examination system)with 50% of marks excluding optional/ additional subject and having ITI certificate affiliated to NCVT compulsory in relevant trade . Application Procedure: Eligible candidates can send their duly filled application along with all relevant documents to the Workshop Personnel Officer, Eastern Railway, Liluah, Howrah – 711204 on or before 07/12/2017. Subscribe our free job alert mail for Eastern Railway Recruitment 2017.